• Does our current financial environment encourage profit-making to the exclusion of other consideration (such as compliance and ethics)? • Is there any way to penetrate the brains of managers and directors who seem to have no concerns about compliance and ethics – or who are actively opposed to “wasting money” on doing business with integrity? • What should a compliance officer do when you perceive that the situation in your company is hopeless? In fairness, that episode of Silicon Valley addressed how the desire for profits can push products to mediocrity, but the same principle applies to ethical compromise. Part of this attitude is driven by the fact that there is a lot of money looking for investment opportunities, particularly in the tech world. People will throw money at a start-up based on a five-year plan, without paying much attention to whether the plan is feasible, or whether there has been any thought to what happens after five years. The assumption is that there will be a buyout (“exit”) at some point, and there is no desire to build a business for the long run. The focus is on generating sales and then profits, with no interest in corporate culture and ethics. This has resulted, in many cases, in widely reported instances of employee abuse. What the start-up and its investors do not realize (or chose not to think about) is that a company with compliance and ethics problems may not survive due diligence if some company is considering a purchase. Nobody wants to buy a problem. When resisting investments in compliance and ethics, some people will go back to the quote of Milton Friedman, to claim that businesses should focus on earning money for shareholders, and nothing else. While this may put a patina of intellectual responsibility on some decision not to invest in compliance or social responsibility, it misses the point. All of these investments are designed to benefit the shareholders. Another driver of the short-term orientation is the earnings call. Once a quarter, the CEO or CFO of a publicly-held company gets on the phone to tell investors and analysts how the company is doing. The “analysts” dissect what is said and draw conclusions, which may or may not be connected to reality. For example, when Paul O’Neill became CEO at Alcoa, he said he would work to achieve zero lost workdays. Many analysts ridiculed this, and told their clients to dump the stock. But O’Neill’s push to improve the quality of the workplace had a significantly positive impact on the company, and the analysts who ridiculed his approach were dead wrong. In 2017, Blackrock CEO Larry Fink endorsed this approach and recommended that CEOs stop issuing quarterly earnings reports. This was contrary to the needed long-term approach. Shareholder reports should look to the future, not discuss the past. Fink repeated his message in 2018, stating that companies need to deliver financial performance and show how they are making a positive contribution to society. He noted that the activists that had forced companies into various types of financial restructuring (that had no benefit to business operations) had a clear strategy. Companies had to do likewise if they wanted to continue. “Without a sense of purpose, no company, either public or private, can achieve its full potential. It will ultimately lose the license to operate from key stakeholders. It will succumb to short-term pressures to distribute earnings, and, in the process, sacrifice investments in employee development, innovation, and capital expenditures that are necessary for long-term growth. It will remain exposed to activist campaigns that articulate a clearer goal, even if that goal serves only the shortest and narrowest of objectives. And ultimately, that company will provide subpar returns to the investors who depend on it to finance their retirement, home purchases, or higher education.” If companies don’t want to be judged on short-term results, then they must articulate their strategic framework for long-term value creation. 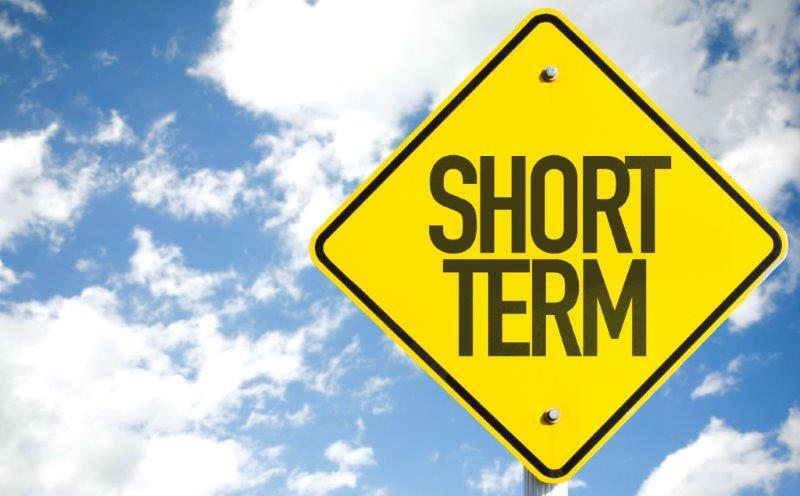 The focus on short- vs. long-term objectives must start with the top: the board of directors. The directors should manage the company for the benefit of the shareholders, and while they have wide discretion, under most state laws, to employ their business judgment, they have certain obligations that are always long-term in nature. For example, under the Sentencing Guidelines, as reinforced by the Caremark decision in Delaware, directors need to be knowledgeable about the compliance program in a company. Failure to fulfill their duties may subject them to shareholder suits, or, in certain cases, personal liability. A key part of establishing an effective compliance program is ensuring that there is a culture of compliance in the organization: everyone is oriented to do business with integrity, and not sacrifice that principle for a short-term gain. Under a culture of compliance, everyone understands that the commitment to compliance is necessary for the long-term health of the company. This goes beyond considerations of strict legal liability. For example, if the company makes consumer products, it needs to be aware of its image of reputation with consumers. If they lose confidence in the quality and value of the company’s products, they will vote with their feet, and sales may disappear. But it is not just consumer products companies. The reputation of a company for integrity is extremely important in a B-to-B. If a company must deal with the government, does it go into those encounters being trusted, or being viewed with extreme skepticism. Management needs to be aware of what threatens the existence of the company. Part of establishing an effective compliance program is knowing what risks the company faces. Once it understands that a compliance failure can be an existential risk, management will be more supportive of efforts to embed ethics into the culture of the organization. Ted Banks is a partner in the Chicago law firm of Scharf Banks Marmor LLC. He is a compliance monitor for the Federal Trade Commission and Competition Bureau of Canada, and teaches corporate compliance at Loyola (Chicago) Law School. Great article, wise and useful arguments. Thank you for sharing your reflections. Great article, wise and useful arguments.